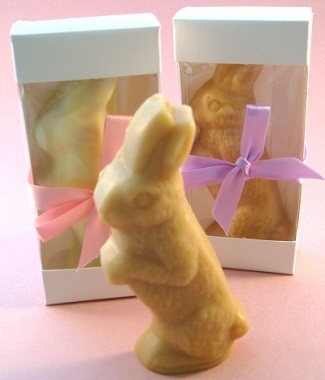 This Easter Bunny shaped maple sugar candy was introduced in 2008 on the PIECES OF VERMONT® website and was an instant hit. Everyone wanted one, and not just customers, but wholesale distributors too! But we said, "No way!" So, this very generously sized candy (over 2 oz. each!) is only available here or on PIECES OF VERMONT's website. 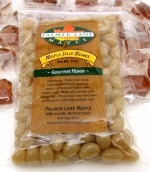 This delicious melt-in-your-mouth pure maple candy will leave you wanting more. 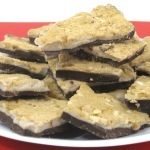 Ordinary Easter bunny chocolates are no comparison to this candy! Individually boxed with decorative pastel ribbon included, these delicious candies are ready for Easter gift-giving. Made with 100% Pure Vermont Maple Syrup. Best of all, for a little extra we will dip each candy in delicious tasting Easter yellow chocolate. 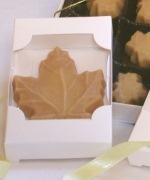 If you've never tried maple candy dipped in chocolate, we can assure you, you won't be disappointed!